The GREATest BRITAIN Road Trip, my favorite destinations in England, Wales and Scotland: read part 1 about Bruges, Dover, Stonehenge here, part 2 about the Roman City Bath here, part 3 about Wales here, part 4 about The Lake District here and part 5 about Hadrian’s Wall here. We have, at last, arrived in Scotland. When I had initially planned my trip, I thought I was merely going to pass through England on my drive north but since we just spent 5 parts of this series in the south, you guessed correctly that it took me a while to actually get to the north. However, once I had arrived in the Highlands, all the pieces came together and I felt right at home surrounded by mellow mountains, fields of heather and the infamous Lochs that simultaneously radiate absolute calmness and an untameable wildness if the wind blows just right. The following destinations can all be visited with one round trip in as little as a few days. 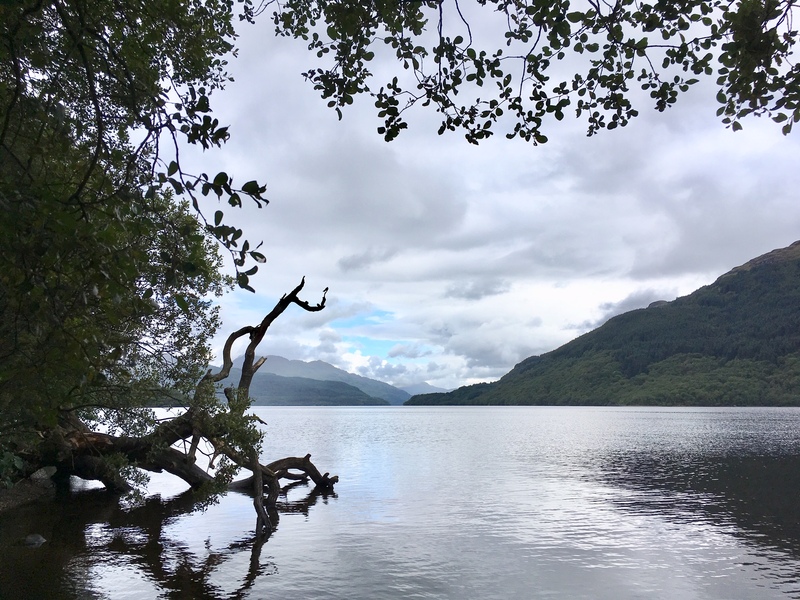 The bonnie bonnie banks of Loch Lomond inspired a very dramatic song (that I strongly recommend putting on your road trip playlist) and you will not question why it’s so famous once you get there. A narrow windy road (there is only one road north so don’t worry about getting on the wrong one) takes you along said bonnie banks with plenty of opportunities to pull over and enjoy the glorious view. The hills framing the water are merely a hint of what to expect from your next stop. 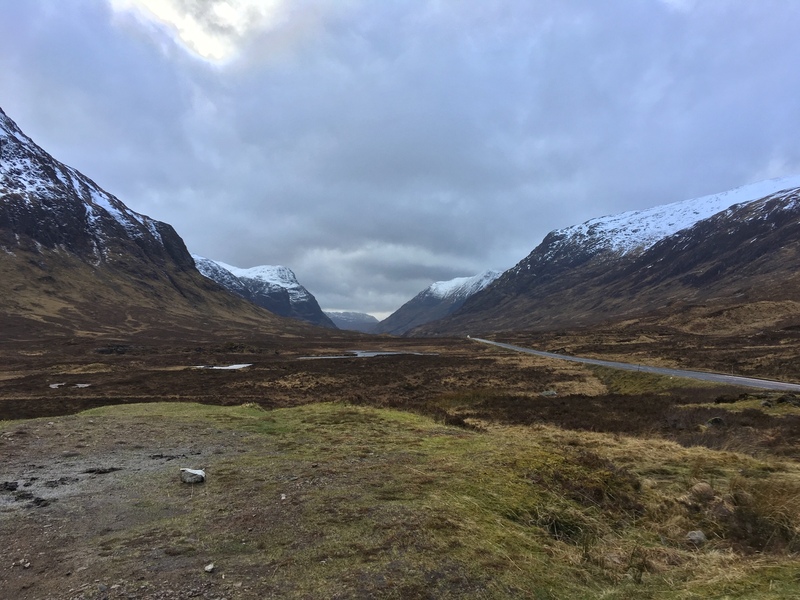 This valley, or glen, is often spelled Glencoe but no matter how you spell it, it is one of the absolute must-sees in Scotland. Follow signs for Fort William and you can’t miss it. The drive leads straight through the remains of an ancient volcano, which erupted around 420 million years ago, with sheep and mountains to each side. In the winter, you have a good chance of seeing some snow and in the summer you might even see a patch of green here and there. However, these classic brown and yellow tones will always be unique for Scotland to me so they hold a special place in my heart. Aside from a lonely cabin or two and a few hikers, the glen remains untouched by humans and the only reminder of civilization is this one road. Any Harry Potter fans out there? This little-known indie film shot one of its most iconic scenes right here in Scotland. There is a viewpoint from which you can see the bridge with modern trains crossing it every few minutes. Twice a day, you can also watch a steam train cross it and picture yourself eating some Bertie Bott’s Every Flavour Jelly Belly Beans on your way to Hogwarts. 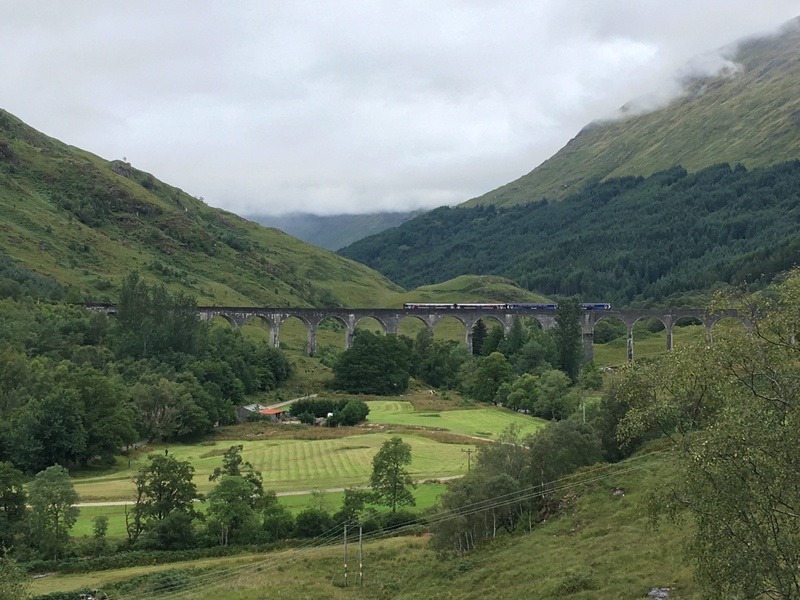 You can also ride the Jacobite Steam Train from Fort William To Mallaig and back for the ultimate Harry Potter experience. 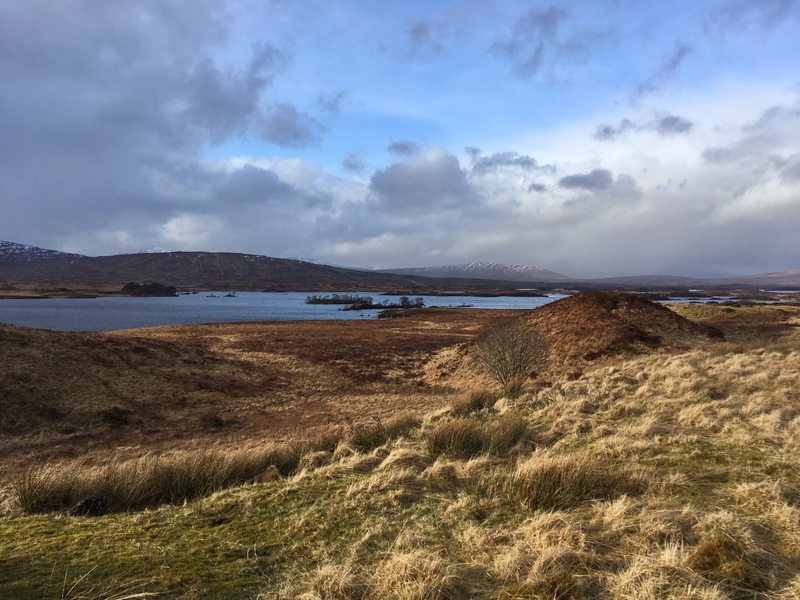 The viewpoint is only a little detour, circa thirty minutes from Fort William, and I suggest driving back to Fort William and following the GPS to Skye from there to avoid a ferry trip. This 13th century castle is right next to the road yet once you step onto its premises, you will feel like you’ve stepped back in time. Admission costs £10.00 but even if you’re not interested in going inside, it’s still worth pulling over and simply admiring the majestic building and its gorgeous backdrop. The café has delicious scones and light meals with large windows to enjoy the view from if the weather isn’t on your side. 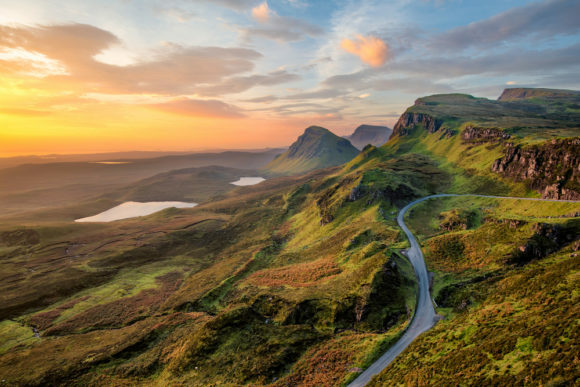 The Isle of Skye is one of those places you simply do when you’re in Scotland. 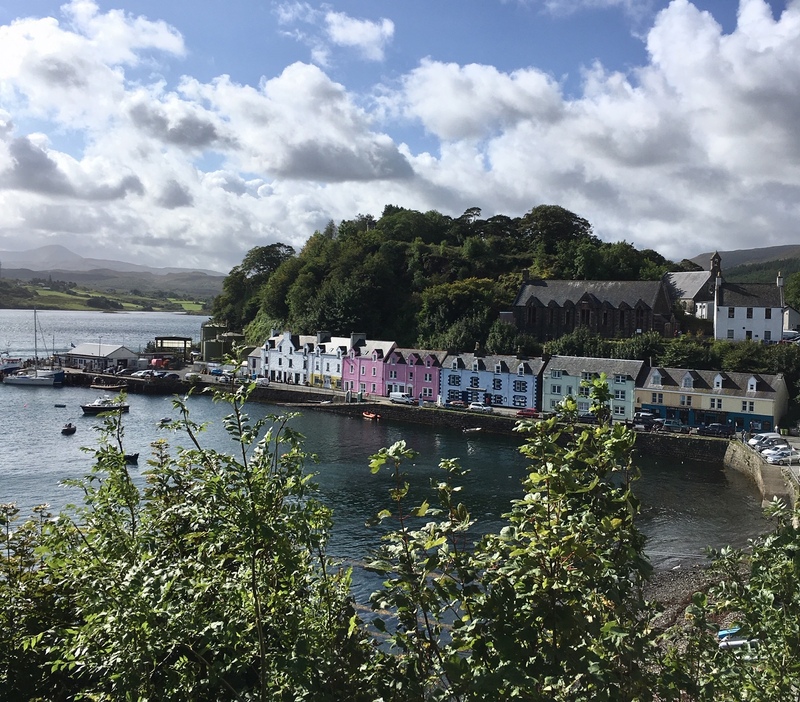 As is often the case, the reason it’s on every traveller’s itinerary is that it’s so damn beautiful and while those that would like to think of themselves as serious travellers (myself included) sometimes like to skip the touristy destinations, Skye shouldn’t have to pay the price for its own popularity. A bridge conveniently connects it to the mainland so you don’t need to get on a ferry and it really isn’t that big either so you can cover most of it in two days. However, there is plenty to see if you wanted to stay for a week or more; you will not run out of new hiking trails and spots to explore. The island is a lot greener than for example Glencoe and specked with waterfalls, mountains, lochs and glens as far as the eye can see. 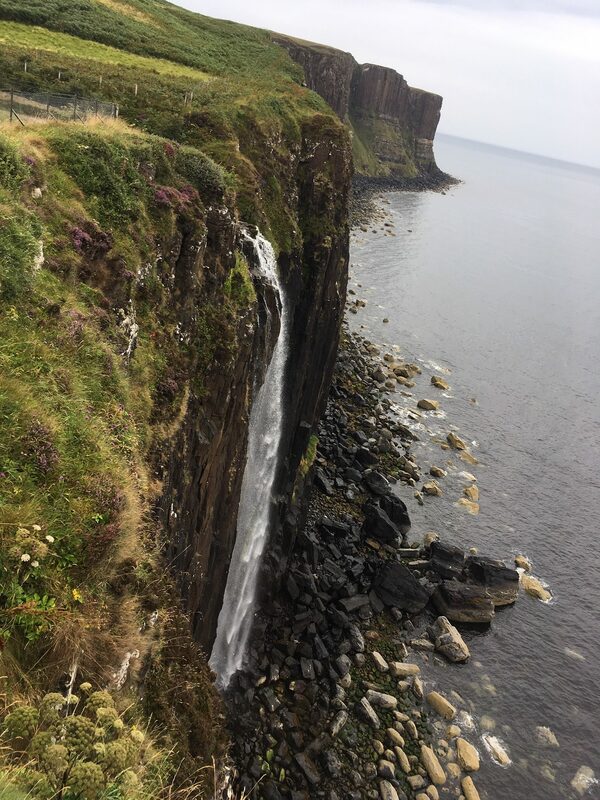 Fairy Pools and Kilt Rock are some of the most spectacular waterfalls on the island, the latter falling down a magnificent 90 meter cliff while the former comes with a scenic circa 5km walk. The island’s main city is Portree. Its colorful little houses either glisten in the sunshine or brighten up a rainy day so it’s a win-win town all the way. 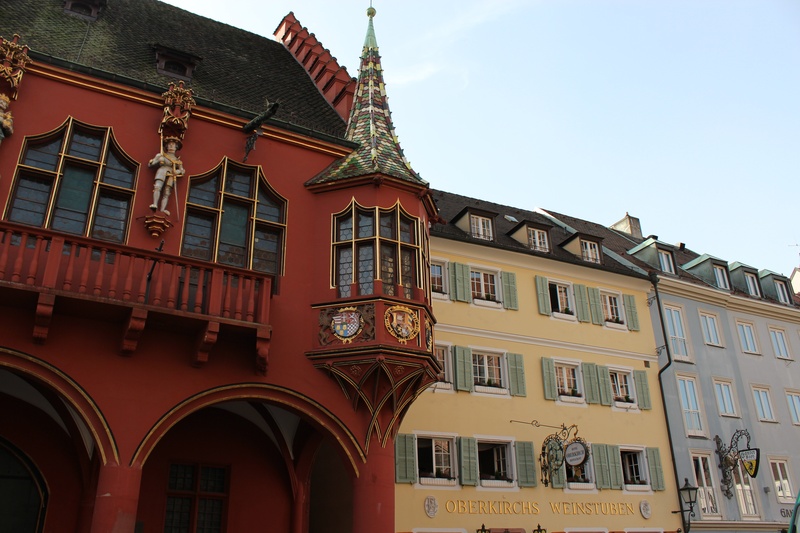 You will find shops, restaurants, a large supermarket and accommodation here. 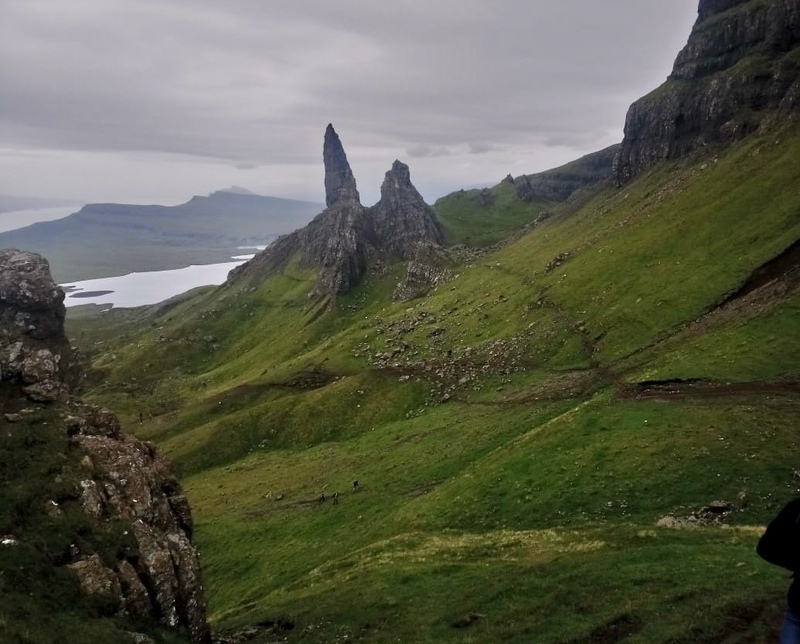 The Old Man of Storr is a classic hike most people do when they’re there. It only takes an hour or so to get to the top but even if you only walk halfway up (*cough* like me), you will be rewarded with fantastically serene views that make you feel like you’re on top of the world. The “official car park” (anywhere you can find a spot) is only a fifteen minute drive from Portree. 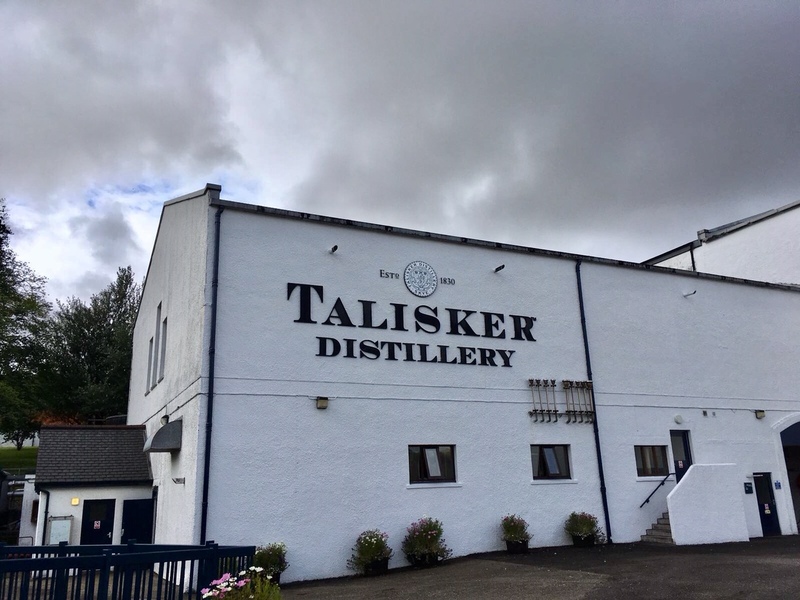 Talisker Distillery: Talisker is a famous single malt whiskey distilled right there on the island and one of the oldest distilleries in the country. Legend has it that the roughness of its shores are captured in every drop of the liquor and, honestly, if you believe in it strongly enough, you really can taste it. There are tours of the distillery every half hour, including a small tasting. We are slowly heading back south but there is one more spot we want to see. This little fishing town is also known as the gateway to the Hebrides, which will be covered in a future post. Great restaurants, shops and their very own distillery are only a few of the highlights as they also offer a number of boat trips to seal banks as well as other sightseeing boat tours. 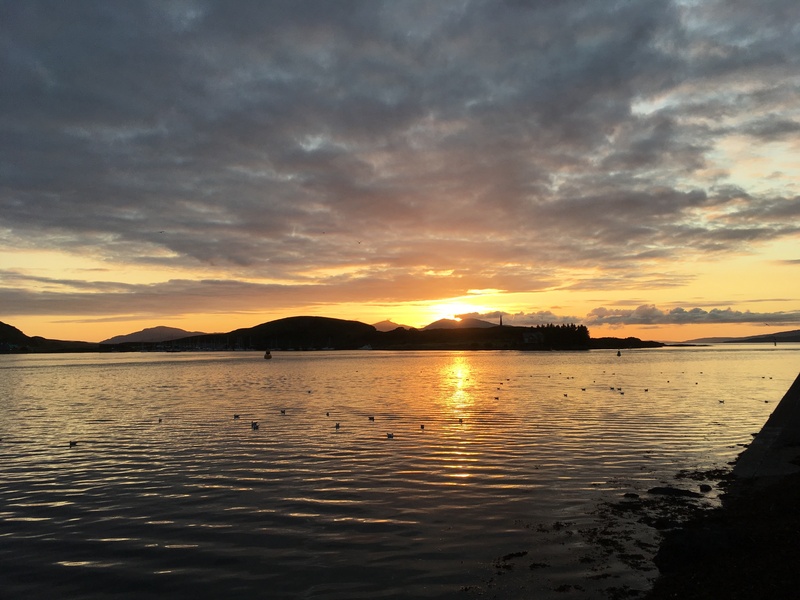 Bonus: I saw what was perhaps the most beautiful sunset I’ve ever seen in Oban. Right outside my hostel door, the sun set over the ocean and little ducks floated on the water looking at the sky, revelling in the sublimity of nature. It was a moment of absolute bliss. Keep in mind that those are only my personal must-sees in the west. There are countless other places worth visiting and I still think one day I might pack a backpack and get back on these roads for more than a few weeks until I’ve sampled every whiskey, asked every sheep to let me pet it and tasted every scone. In the words of Robert Burns: My heart’s in the highlands. 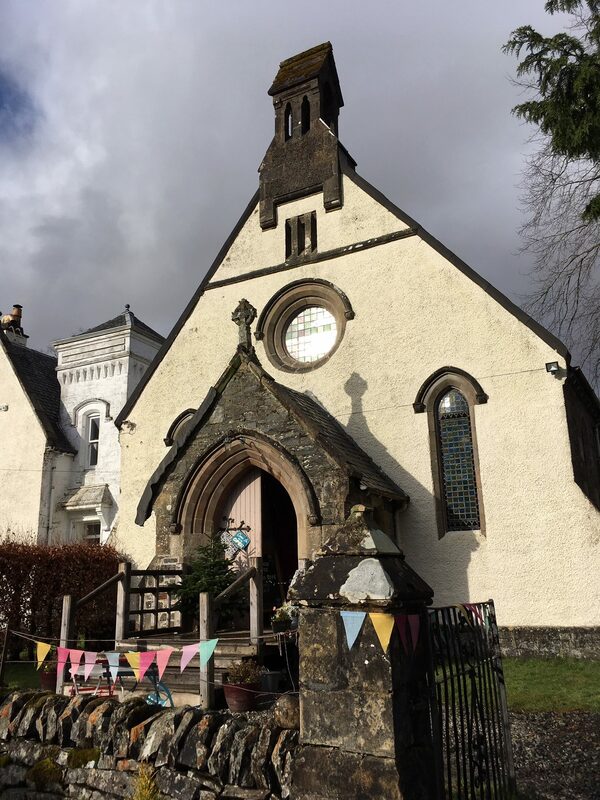 The Artisan Café is an old church that was recycled into a charming café with gorgeous old windows, sweet treats, lunches and a small gift shop. Depending on the season, you can either sit in the sunshine and enjoy a magnificent mountain view or cozy up near the fireplace inside. If you’re driving from Glasgow towards Glencoe, it is inevitably on your route. However, it is a bit hidden so you will need to be on the lookout for their sign. Luss (Loch Lomond) and Fort William (post Glencoe) are also great towns if you prefer a selection of dining places but there are cafés and restaurants along the way, too, so no need for starvation anxiety. 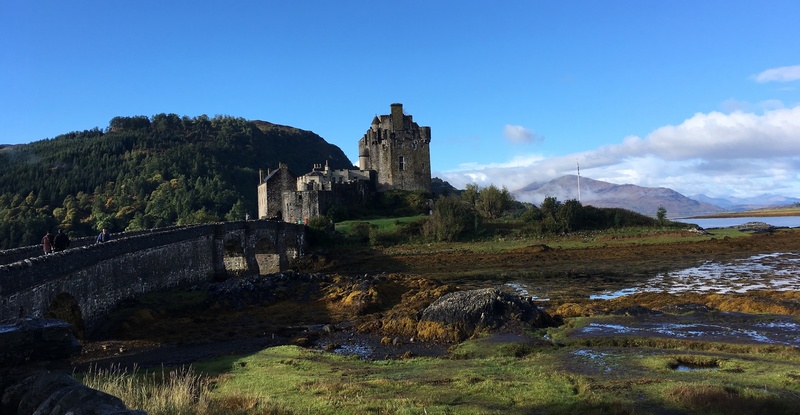 Your best call is renting a car in Glasgow and driving to these destinations in the order I listed them in to make sure you don’t miss any high(lands)lights. Getting around with public transport is also an option, for there are buses and trains everywhere. Check out booking.com or airbnb for cozy B&Bs away from the main cities. SYHA and Hostelling International offer private rooms and beds for lower prices in both rural areas and bigger villages. My absolute favorite hostel was Ratagan, only a few minutes’ drive from the bridge to Skye. 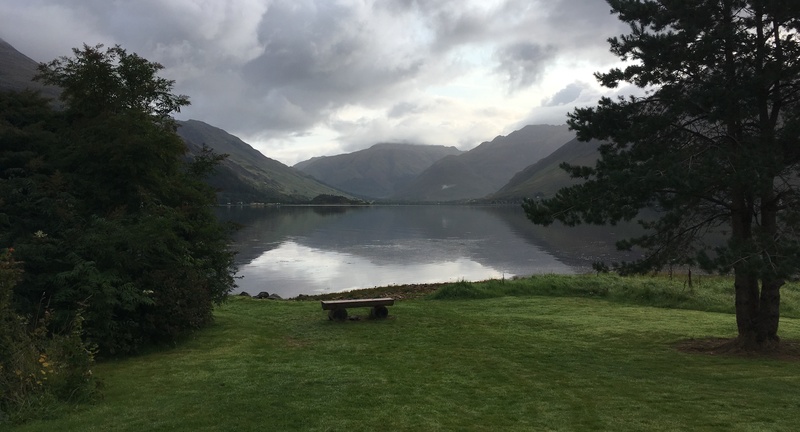 It is located in the middle of nowhere with a stunning view of the Five Sisters of Kintail, a mountain range popular with hikers and lookers like me. Waking up to this view was one of the greatest joys on the whole trip. No construction noises, no traffic, nowhere to be but in the moment. Aside from the occasional snoring roommate, this place is as peaceful as can be and ideal for becoming one with nature.